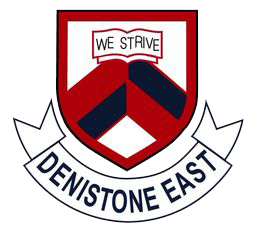 Denistone East Public School P&C Association represents a parent's voice in working toward common goals with the school and raises funds for the educational benefit and enjoyment of the school learning community. A number of social and fundraising events are held though out the year. Mother's Day, Father's Day, Mufti days, Chocolate Drive, School Disco and the Moonlight Markets among others, are held to provide a fun way to raise funds for the school and to celebrate as a community. In five years the P&C has raised more than $500,000 and this has been used to purchase interactive whiteboards, targeted education programs, library books, home readers, musical instruments, air conditioners, playground equipment, rubber surfacing, artificial turf, stage curtains, plants for the grounds and vegie patch materials. A fundraising direction is set towards assisting the school with their target areas of Literacy, Numeracy, Technology and Grounds. Meetings take place at 7.30pm, usually on the second Wed of each month in the staffroom, located in the main office block. Please see the Events Calendar under the "Events and Fundraising" page for future meeting dates. Minutes of the meetings will soon be available here. The AGM is held on 15th October this year.